In response to investor and buyer anxiety surrounding future predictions in the real estate industry, one of the UAE’s largest real estate brokerages has introduced a new transactional structure to offer both parties peace of mind. Putting innovation and creativity into action, fäm Properties has developed the new All Weather Structure which alleviates the buyers’ worry that prices may go down after their transaction and sellers’ concerns that the prices may go up. 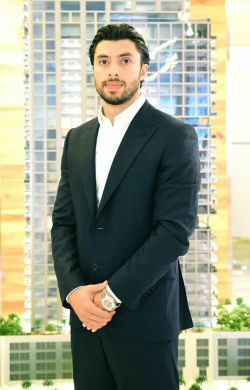 Conceived by Firas Al Msaddi, fäm Properties CEO and the number one ranked real estate agent in Dubai according to the Dubai Land Department for 2017, the new instrument has already successfully allowed fäm to start 2018 by concluding a sale of over AED100 million for a full building in City Walk, Jumeirah. A hypothetical example of the new structure in play would be if a property was worth AED10 million and the buyer purchases for AED8 million, with an agreement to share 50% of the net profits on resale on or before three years. The seller’s share of the resale’s profit would be capped at 125% of the AED2 million discount, and in case the 50% of the resale profit does not cover the AED2 million discount, there is no further liability on the buyer. If prices continue to rise, the buyer retains the upside after paying back only 125% of the discounted amount. The structure means that the buyer protects the downside risk if the market goes down and maintains the upside profit if it goes up. The seller, meanwhile, cashes out with the option to partially or fully reinvest the liquidity under the same market sentiment, while capitalizing on the upside of the discounted rate. The success of the initial roll out has meant that fäm Properties is currently negotiating and customizing two large transactions using this kind of structure on behalf of its investors with one of the largest developers in Dubai. Al Msaddi added: “Developers have been incredibly receptive to this kind of structure and we are receiving enquiries from major players in the industry. “History has taught us that we can’t tell for sure whether prices will increase or decrease in the future; we can make estimations based on market studies, and then make investment decisions accordingly. But ideally, we should have the ability to readjust to future market conditions. The structure is custom built around the buyer and seller needs, factoring in the type and specification of the property and can be applied across most of fäm Properties’ portfolio of projects across Dubai.